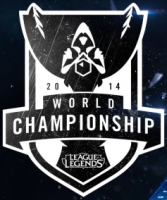 Group C of the Group Stage of the League of Legends World Championship 2014 features the following 4 teams: LMQ, OMG, Fnatic and Samsung Galaxy Blue. The teams in Group C come from/play in the following regions: LCS NA (North America), LPL, LCS EU (Europe) GPL and OGN. The best 2 teams after a double round robin advance from the Group Stage to the Playoffs of the World Championship. In this article you will find out more about the LoL Pro-Teams and their Lineup. Missed a match? No problem! Group C is the death group. This group is a total bloodbath and it looks like LMQ will be the most likely casualty of them all. LMQ needs to have a strong laning phase if they want to earn a spot out of Group Stage and fortunately, they have OMG to contend with. Unfortunately for both teams, there can only be two teams that will emerge from this group. Samsung Galaxy Blue is a given but tears and blood will be shed for the other three teams. Fnatic is the best out of the three but it will surely come down to who has more capacity in teamfighting and strategy. This Group will bring a lot of matches that are worth watching!